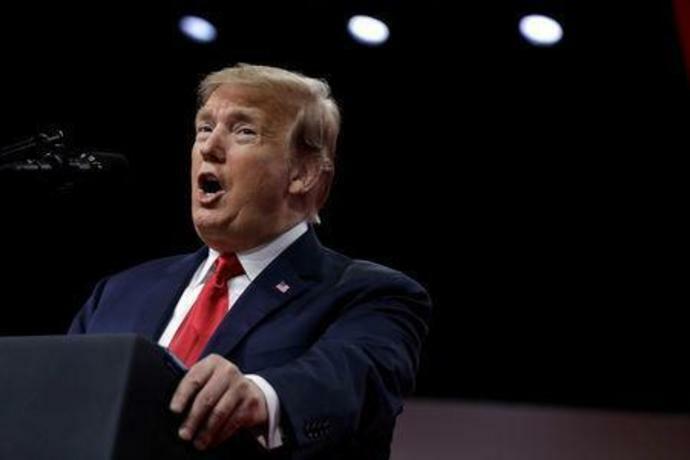 WASHINGTON (Reuters) - U.S. President Donald Trump said on Saturday he would soon sign an executive order requiring American universities and colleges to maintain "free speech" on campuses and threatened that schools not complying could lose federal research funds. If universities do not comply "it will be very costly," he said. The U.S. government awards universities more than $30 billion annually in research funds. It is not the first time that Trump, who has repeatedly lashed out at the media with cries of "fake news" and has called current defamation laws "a sham and a disgrace," has threatened retaliatory action related to free speech. Last September, he suggested in a tweet that the license of television networks could be at risk, though he offered no specifics in his tweet, which singled out NBC. In 2017, FCC Chairman Ajit Pai said the agency does not have authority to revoke broadcast licenses over editorial decisions. "I believe in the First Amendment," said Pai, whom Trump appointed as the FCC chair. If universities "want our dollars -- and we give to them by the billions -- they have to allow people like Hayden and many other great young people and old people to speak -- free speech," Trump said. In a settlement announced in December, the university will modify its procedures for handling "major events," which typically draw hundreds of people, and agreed not to charge "security" fees for a variety of activities, including lectures and speeches. It will also pay $70,000 to cover legal costs of the Berkeley College Republicans and the Tennessee-based Young America's Foundation.